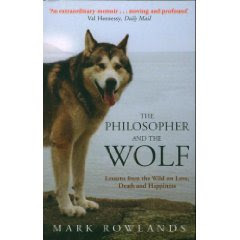 In his book The Philosopher and the Wolf, Mark Rowlands presents a mixture of popular philosophy and personal memoir from a time when he shared his life with a wolf. This leads him to speculate on the different ways that simians and lupines experience time. He concludes that while humans and, he asserts, other apes think in a linear way and experience time as something passing, so that they live as much in the past and in the future as they do in the present, his wolf, and he suggests other dogs, look at rather than through the moment. He concludes that we have much to learn from the wolf in this respect, that our superiority in being able to think about the past and plan for the future is bought at the cost of our inferiority in not being able to fully inhabit significant moments of the present. The moment of the present, as he points out in one of his philosophical asides, is an abstract concept that can never be captured as it is always passing. We may follow Husserl and see the present as an experience composed of the immediate past and the anticipated future (if I raise a glass of wine to my lips, I remember what was poured into the glass and anticipate the taste before beginning to drink). Even a wolf must experience the present in this way, but the wolf is better equipped than humans to take such moments for what they are rather than looking past them and so never seeing them clearly. 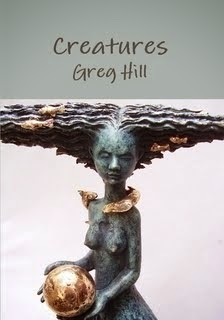 This theme recurs again and again in his poems as well as his occasional prose. But of course he has to worry about it (or at it) as the wolf never would. And Rowland’s point is that, for the wolf, ‘eternity’ is now. It is also Thomas’s point in some expressions of the idea, but framing it in the context of the Christian expectation of eternal life rather takes it into the realm of what Rowlands calls the human tendency to live on hope rather than immediate experience. If the book is a vehicle for such musings on the meaning of life for different species, its main attraction has undoubtedly been the account of a relationship between a man and a wolf. This is interesting in itself and at times quite moving, though I didn’t always share the total identification with Rowlands’ narrative that it has elicited from some reviewers. Clearly, developing a relationship with a wolf takes some commitment (he used to take it into the lecture room with him when on the staff of the Philosophy departments of Alabama and Cork universities) and he claims that it was the intensity of his relationship with his ‘brother’ that led him to various philosophical conclusions about animals and humans (he also wrote Animal Rights : A Philosophical Defence). Could he have come to the same conclusions by owning an ordinary dog or even a cat? Probably. But he wouldn’t have sold so many books.